We have Sucessfully completed the Audio song recording. The Audio Song output is awesome. 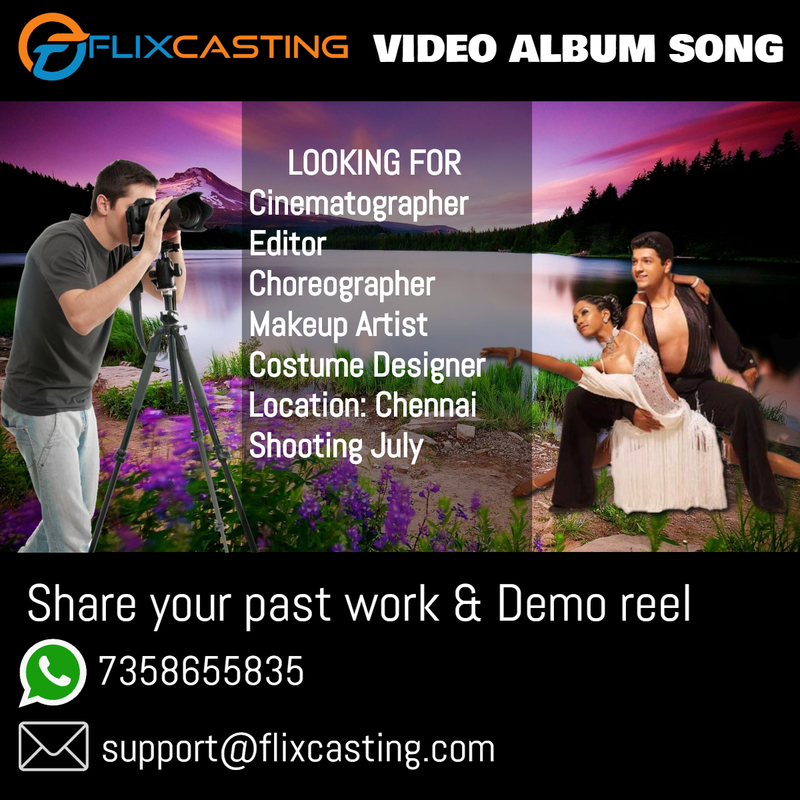 Now urgently looking for experienced professional team to work in this Album song. Even freelancers can take part in this project and contribute their services. Age: Between 17- 50 years.